GLASTONBURY, CT – July 16, 2018 – CMIC, a leading member-owned medical professional liability insurance company, is pleased to announce that Garrett P. Cronin has joined the CMIC Group team as the new Director of Underwriting. Prior to joining CMIC, Mr. Cronin worked for Chubb Corporation as a National Underwriting Manager within their Chubb Specialty Business. His background and focus for the past 25 years has been in underwriting of healthcare, public and private management liability commercial business, and financial institutions. “Garrett’s robust underwriting experience and expertise will be a tremendous asset to our policyholders as CMIC continues to provide competitive coverage options in a challenging marketplace,” said Stephen J. Gallant, Chief Executive Officer of CMIC Group. In 1991, Mr. Cronin began his insurance career at Travelers working with national accounts in their Managed Care Enrollment Division. In 1994, he worked for Berkshire Hathaway/General Reinsurance in the Alternative Risk Market handling various reinsurance treaties. Following that, he worked for Berkshire's specialty group in New York where he underwrote and managed public and private commercial business. In 2000, he and his family moved to Colorado when he became a broker for AON Financial Services serving clients in the commercial markets. After spending three years in Colorado, he joined Chubb Corporation and relocated back to Connecticut where he has worked in various roles throughout the organization leading and strategizing in multiple underwriting groups. 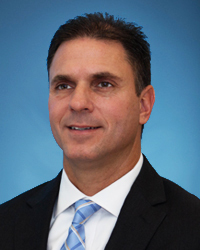 Mr. Cronin received his undergraduate degree in business from Southern Connecticut State University and his MBA from the University of New Haven with a concentration in Finance and Marketing. CMIC Group includes both CMIC and its member affiliate, CMIC Risk Retention Group (CMIC RRG). CMIC Group is a leader in developing innovative insurance programs, services, and solutions for physicians, doctors, healthcare providers, hospitals, and facilities dating back to the origins of CMIC in 1984. For more information, visit the CMIC Group website at www.cmic.biz.